DELFI has repeatedly tried to contact Mr. Nerijus Rasburskis through Lietuvos Energija, but have invariably received a negative response and request to put any questions in writing to Lietuvos Energija itself. DELFI managed through other sources to contact Mr. Rasburskis personally. He happily agreed to meet for a chat but asked that the agenda be coordinated with the communication unit of Lietuvos Energija. The company refused to coordinate the meeting and asked for the questions in writing. Lietuvos Energija sent the answers both after commenting itself as well as in Mr. Rasburskis' words and asked that they be given in full. DELFI presents these answers and all questions addressed to Mr. Rasburskis. 1. The prime minister was speaking about a "group of friends" which included you, Algirdas Butkevičus and Saulius Skvernelis's energy advisor Tomas Garasimavičius. In March, Mr. Garasimavičius was dismissed. He also stated that you were perhaps designated with certain tasks to implement the specific task of "pushing" cogeneration projects. There were however a lot of doubts about the various estimates, quantities of waste, etc. and you could have contributed to the elimination of Danpower and other companies. All material was transferred to the SIS and Prosecutor's Office. Why does the prime minister mention you by saying that you could potentially apply cogeneration projects by obstructing other participants that won the biofuel auction in 2013? What's your opinion on this? Answer by Lietuvos Energija: The Head of the Cogeneration Projects Division of Lietuvos Energija Nerijus Rasburskis does not comment on the statements of public officials. 2. What is your relationship with Mr. Garasimavičius? Answer by Nerijus Rasburskis: Until the work in the President's Office we did not know each other. During the work in the President's Office, due to the nature of his work, he had contacts with many state officials as well as with the then advisers to the Prime Minister. Inter-institutional cooperation was part of the work. When one works in Lietuvos Energija, one has to deal with officials of many institutions and ministries, including officials of the Government of the Republic of Lithuania. 3. Algirdas Butkevičius also told the media that you did not confer with the former energy advisor Tomas Garasimavičius and you made decisions regarding the cogeneration power plants, other sources said. Why were you so concerned that there should be two cogeneration plants which you became head of? Answer by Lietuvos Energija: The head of the Cogeneration Projects Division of Lietuvos Energija Nerijus Rasburskis cannot comment on why some or other members of the Seimas have some or other opinions. 4. How were you appointed Head of the "Cogeneration Plant Project Service" within 12 months of the so-called cooling-off period after working in the President's Office under the Civil Service Act? Answer by Lietuvos Energija: Nerijus Rasburskis is a Doctor of Technology in the field of energy and thermo engineering and has more than 15 years of practical work experience. He was invited to work at the Cogeneration Power Plant Project Services from January 2015. Dr. Rasburskis worked as an advisor in the President's Office in the Economic and Social Policy Group. Based on available documentation and the internal investigation, his work was not related to the supervision and control of the activities of Lietuvos Energija, nor did he participate in the consideration or adoption of decisions favourable to the company. Lietuvos Energija wants to emphasize that Dr. Rasburskis's professional activities, both in Lithuania and abroad since 1999, relate to energy sector planning, its efficiency, implementation of environmental measures, studies on the development of biofuel boiler-houses and cogeneration power stations in the district heating sector, feasibility studies and physical implementation of projects, and therefore we have no doubts about the objective nurse of attracting a competent professional to the team. 5. On 28 May 2014 it was decided by a Government resolution that the principal, i.e. the projects of Lietuvos Energija, would be implemented using European Union structural fund support. Why didn't the project get EU support? What I am asking is why the Kaunas cogeneration project didn't receive EU support? Answer by Lietuvos Energija: According to the rules for the allocation of EU support, the Kaunas Cogeneration Plant investment project cannot claim EU support. This is because the power plant will be a co-incineration plant in which not only municipal waste and non-hazardous industrial waste will be converted into useful heat and electricity, but also sludge from water treatment plants. The Vilnius cogeneration plant will use municipal waste only. EU support therefore can and will be used for it. 6. If it hasn't been amended, why has the Kaunas Cogeneration Project not been withdrawn if the European Commission has repeatedly said that the construction of two cogeneration plants can result in the creation of surplus capacity. This is a financially risky decision if there may also not be enough waste as reported by some? Answer by Lietuvos Energija: The European Commission has never stated any official position that criticises strategically important cogeneration projects in Lithuania. The Ministry of the Environment of the Republic of Lithuania has also stated that waste for cogeneration plants will be fully covered until 2030 at least. The EC has officially published a decision authorising the implementation of the Kaunas plant together with Fortum (case M.7745) 5. 7. If Lietuvos Energija needed a basic heat producer that sets the most attractive prices and raises a competitive cartel for other producers, would it not be possible to acquire, in place of the Kaunas plant, one of the existing heat producers in Kaunas? Answer by Lietuvos Energija: The lowest heat cost and also environmental lower pollution levels is ensured by using the population's waste that remains after sorting and reuse instead of "burying" it in landfill. Waste to be burned in standard biofuel boilers or power plants that do not have the purification equipment ensuring the highest environmental standards is strictly prohibited by both Lithuanian and EU legislation. Waste "dumping" in landfill is paid for by the so-called landfill gate fee. Therefore, when it is accepted at the plant, it also reduces costs, unlike the purchase of biofuels, the price of which increases each year. The cost of converting waste into a waste-wise power plant is estimated to be about twice as cheap as the cost of energy compared with landfill, which would save around 12 million euro per year for the population of Kaunas region and companies. The principle of the circular economy when waste is transformed into public energy is as follows: heat and electricity are one of the most advanced ways of solving energy efficiency and environmental problems in metropolitan areas. This is without exception the case with all the advanced EU countries - Germany, Austria, Czech Republic, Denmark, Sweden, Finland, etc. 8. What is your comment on the internal investigation of your relationship with AF-Consult? For many years until 2008, you were one of the shareholders of Termosistema Projektai. In September the company was sold to the Finns and renamed AF-Consult. Why have such suspicions been raised against you? Answered by Lietuvos Energija: Lietuvos Energija has carried out a risk assessment of the purchasing procedures and conflicts of interest at the cogeneration plants in Vilnius and Kaunas. During this assessment no factual data were found that could call into question the transparency of the projects or the team of specialists implementing them. Internal checks were initiated to dispel the doubts publicly expressed in Mr Tomas Dapkus's program. 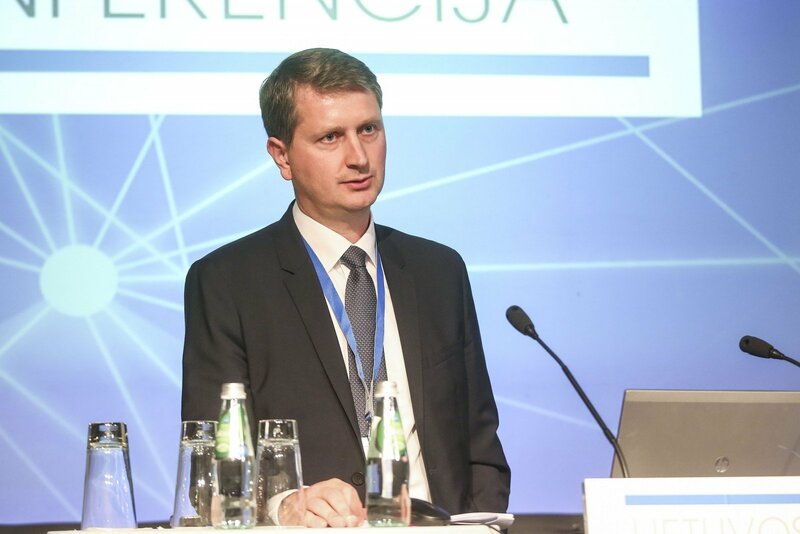 Transparency is one of the most important priorities of Lietuvos Energija, therefore, operative internal actions were taken to dispel any shadow of a doubt. The findings of the Internal Audit and Prevention Office have once again shown that there is no reason to doubt the transparency of projects or the team. An internal audit revealed that the procurement of consultancy services was carried out in compliance with the provisions of the Law on Public Procurement of the Republic of Lithuania ensuring the implementation of the principles of equality, non-discrimination, mutual recognition, proportionality and transparency. Answered by Nerijus Rasburskis: Ten years ago Termosistemu Projektai, in which Mr. Rasburskis had 65% shares, was sold to AF-Consult Ltd, a Swedish, not a Finnish company, and a subsidiary of AF (http://www.afconsult.com/), a company with over 100 years of history accounting and one of the largest European companies in Finland. In October 2008 Mr. Rasburskis was hired by a member of the AF Group company. 9. Is it true that Fortum Heat Lietuva also hired AF-Consult in Klaipeda? What is your relationship with Fortum Heat Lithuania? Answered by Lietuvos Energija: Lietuvos Energija cannot comment on the business relations of other entities. Answered by Nerijus Rasburskis: Mr. Rasburskis has professional ties only with Fortum Heat Lithuania. 10. How much will AF-Consult charge for carrying out maintenance on the Vilnius and Kaunas cogeneration projects? Answered by Lietuvos Energija: Below are the links to the Public Procurement Portal which contains public procurement reports. Purchases through open international purchasing resulted in more than one binding offer of services and none of the purchases were challenged by the participants. It should be noted that in the Vilnius and Kaunas cogeneration plant projects, the scope, nature, and responsibilities of technical consultations are different. Maintenance as regulated by the regulatory legal acts of the Republic of Lithuania is only one of the services provided by many consultants acquired through these open international purchases. For example, in the Kaunas project the consultant carries out the design of the power plant while in the Vilnius project design is carried out by contractors who build the power plant based on the "turnkey" principle. 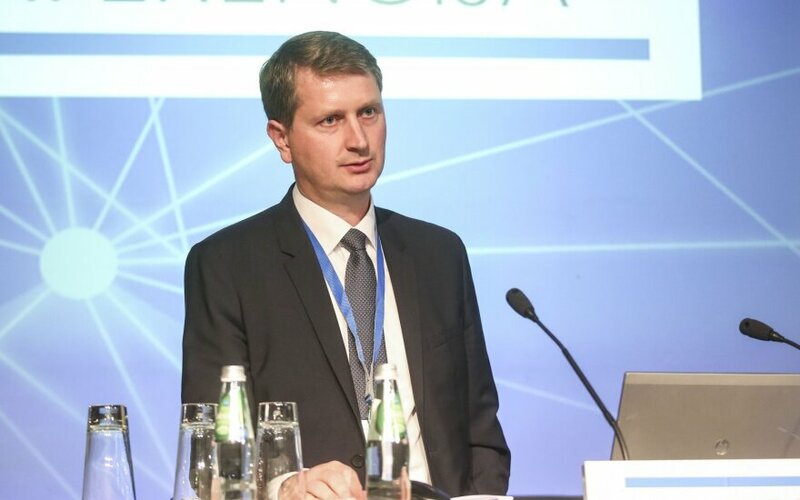 Tomas Garasimavičius, who was dismissed by the Prime Minister at the end of March, has been working as an advisor to the Kaunas Mayor since 4 June this year after proposing the same to Mr. Matijošaitis. Mr. Garasimavičius said he did not know why the Prime Minister had dismissed him. "The reasons were not made known to me. It may have been in the interest of some business groups. On 18 March 2018 the Prime Minister publicly commented (from 44:02) that the counsellor "certainly did not commit any criminal acts". Link: https://www.15min.lt/naujiena/aktualu/lietuva/ketvirtadieni-15min-studija-premjēra-saulius-skvernelis-56-947904 ", - said Mr. Garasimavičius. Asked why the Prime Minister might have suspected that false information about energy projects, waste quantities, etc. had allegedly been provided, he said he was not aware of that and was not able to comment on what the Prime Minister said. "It would seem that such statements made by Saulius Skvernelis should be commented upon and confirmed by Algirdas Butkevičius himself," he said. When asked what he thinks of the Prime Minister saying the cogeneration projects are corrupt and that a "group of friends" tried to "push" them, he answered "It seems that such claims should be judged by competent environmental and law enforcement authorities." To my knowledge, the cogeneration plants will be equipped with one of the most advanced environmental pollution abatement measures that will meet very stringent standards. There will also be continuous and publicly available monitoring of air pollution. Based on publicly available information, having found no signs of corruption, the General Prosecutor's Office and the Special Investigation Service, refused to initiate an investigation in accordance with the material provided by the Prime Minister between 14 to 18 May 2018. The cogeneration plant projects being implemented by Lietuvos Energija are recognized by the Government of the Republic of Lithuania as projects of state importance to the economy, as well as projects of waste management. The suspension and cessation of these projects was of interest to some of the business groups in that they were trying to discredit, by way of much lobbying activity and exposing various institutions and politicians to complaints, misleading and biased information," he said. He also said that he did not know Mr. Rasburskis before becoming energy advisor to Prime Minister Butkevicius. When I started working as advisor to Prime Minister Algirdas Butkevičius, and advisor to Saulius Skvernelis, I associated on a professional basis with various civil servants, officials and employees of the energy sector, including with Mr. Rasburskis. Before the working as Prime Minister Algirdas Butkevičius' adviser I did not know Mr. Rasburskis ", said T. Garasimavičius.